I love floral quilts. There’s something so fresh and beautiful about them, and I can never stop staring at them. I just can’t get enough! Instead of using floral prints this spring, why don’t you make a flower block instead? It’s easy, it’s gorgeous, and it has all the same attitude as another floral pattern. 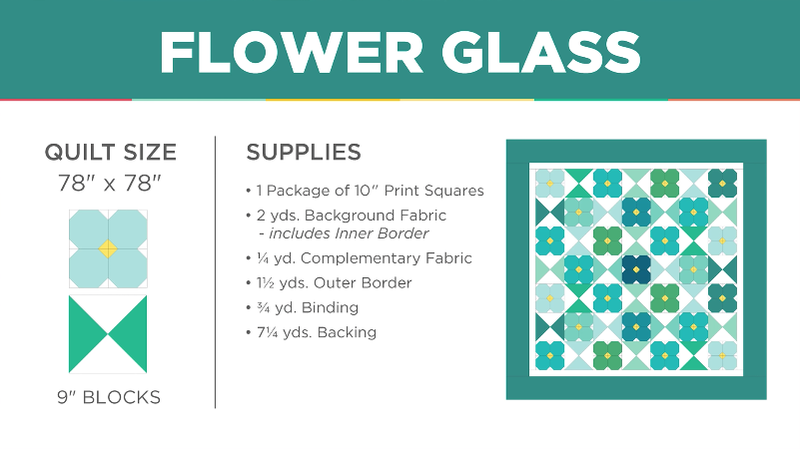 To make the flower glass quilt, you’ll be making two types of blocks: a flower and an hourglass. Both blocks are incredibly beautiful, and when they’re put together, they make a stunning design. The best part? Both of these blocks are SUPER easy. One of them is a simple hourglass, and the other is a flower block. You’ll arrange the quilt by surrounding each of the flower blocks with an hourglass. The end result is stunning, and it’s sure to be one of your favorite quilt tops! To make the flower block, you’ll make 4 snowballs with one corner of the snowball a bright yellow color to look more like a flower. Easy, right? For the hourglass, just cut two different squares in half on the diagonal. Then, have the center corners meet up, creating a larger square and the hourglass pattern, and you’re done! Take one of your flower blocks and surround it with the hourglasses! Then sew up the quilt top, add your batting, some backing fabric, and any borders you’d like, and you’re done! 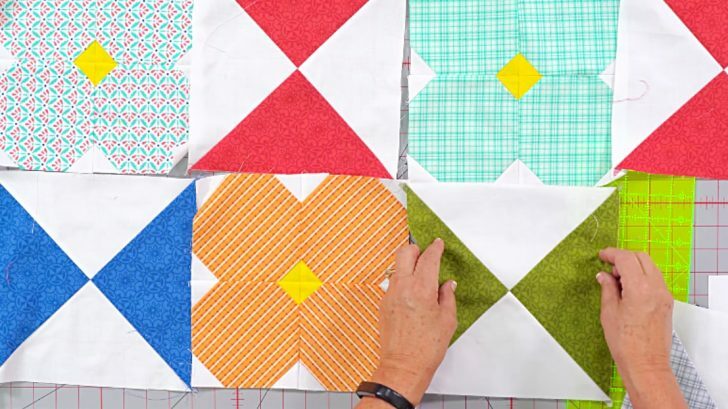 Watch Jenny’s video with Missouri Star Quilt Company down below and you can get started making your own. Happy Quilting!